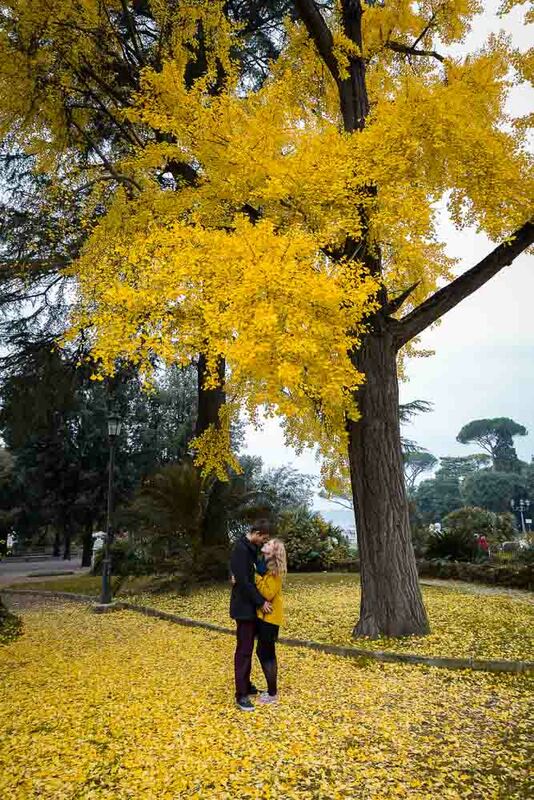 A very beautiful wedding proposal photographed at Parco del Pincio in autumn. With beautiful matching colors! Perfectly executed overlooking the roman rooftops and silently photographed from afar. With great joy and happiness! Getting great engagement shots with a couple so much in love was easy as just hanging out! And the engagement session followed with a very pleasant walk around the park. 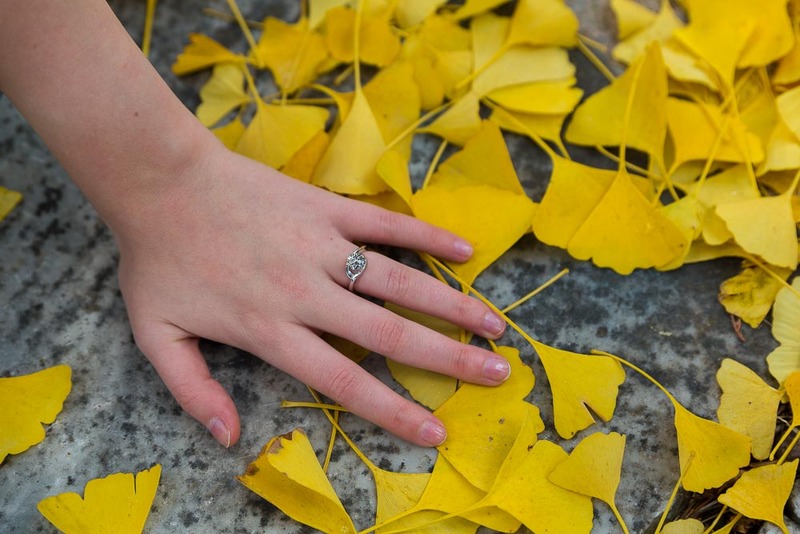 Finding a really nice tree with matching yellow fall colors. 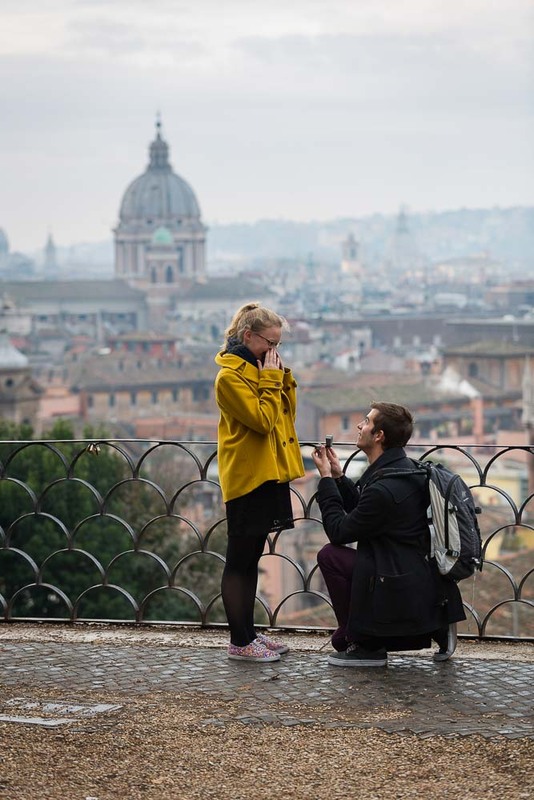 Then we peaked over Piazza del Popolo from the terrace and then walked toward the Spanish steps to conclude our photo session with some awesome portraits in front of the scenic view.